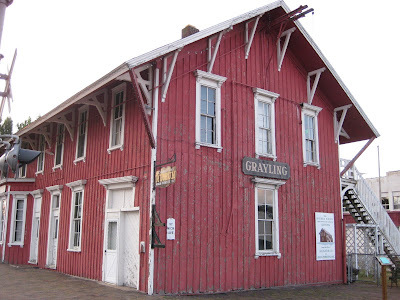 As it turns out, historic Grayling (population 1,952) has been “on the map” as a top fishing destination for well over a century. 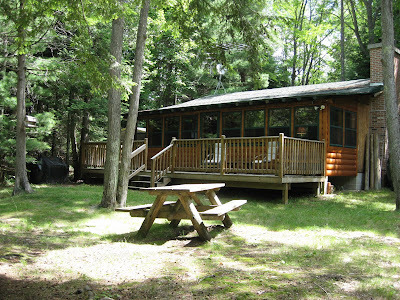 For that, it can thank the famed Au Sable River, which flows right through the middle of town and ends at Lake Huron. Back in the late 1870s, this lovely river began drawing trains full of fishermen looking to hook the town’s namesake species, the Grayling. 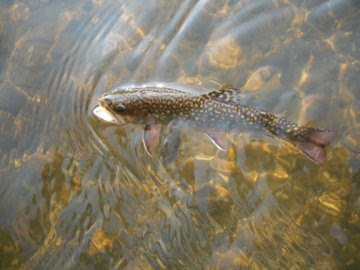 According to the Old AuSable Fly Shop, the fishing was ridiculously abundant at the time – upwards of 100 Grayling per person could be caught per day, with yields of three to four fish per cast. But that was soon to be all over, though. 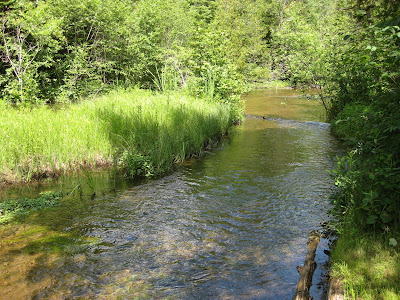 The logging industry began using the Au Sable River for transportation (inventing the flat-bottom “Au Sable Boat” to navigate such a shallow river), and in doing so, built dams, stripped the banks, cleared/leveled the river and essentially destroyed the Grayling’s habitat and spawning beds. But that’s not all this lush, beautiful area has to offer. In addition to being a fishing mecca, the Au Sable River attracts kayakers and competitive canoe paddlers. Yes, unbeknownst to me (and I suspect many of you), there is a sport involving racing in canoes, and it’s a big deal in these parts. Every July since 1947, the Au Sable River Canoe Marathon, one of three events making up canoeing’s Triple Crown and the longest such race in North America (120 miles), has started right here in Grayling. From there, it’s about skill, speed (50-80 strokes per minute! ), endurance...and good help. Paddlers have crews, much like race car drivers. But in this case, they’re known as “feeders” or “bank runners.” These dedicated folks position themselves at various points on the river and hand off food and water to their paddlers every two hours. That means a lot of standing in the dark in cold water. Tragically, I fly out hours before the 2009 canoe marathon begins. So I’ll have to have my boyfriend report further. 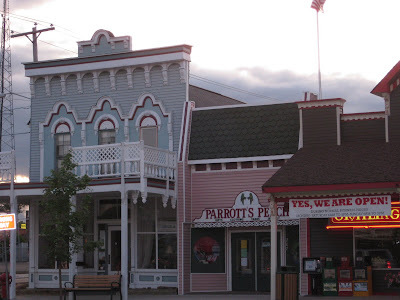 But consider yourself previewed – and myself enamored by yet another small town that’s way more interesting than I anticipated. I have only ever been to the Detroit area...Obviously your experience is much different than mine! Looking forward to the round-up after Mackinaw. Grayling is one of those little corners of the world that I would move to in an instant. I am many hours away from there at the moment but often think of my next visit. Cheers! Well, I'm only a couple of years late in seeing this. I was scouting for better pictures of the river, the ones I have that I took are pretty poor, to put on my computer and came across your site. I lived on the Au Sable from late 40s to early 60s, just below Wakeley Bridge at the end of So Townline Road (about 13 miles east of Grayling). Spent most of my time fly fishing from a canoe. I was pretty lousy but did I love it! I might be just a tad prejudiced but I've been around a bit and nothin' beats the Au Sable.